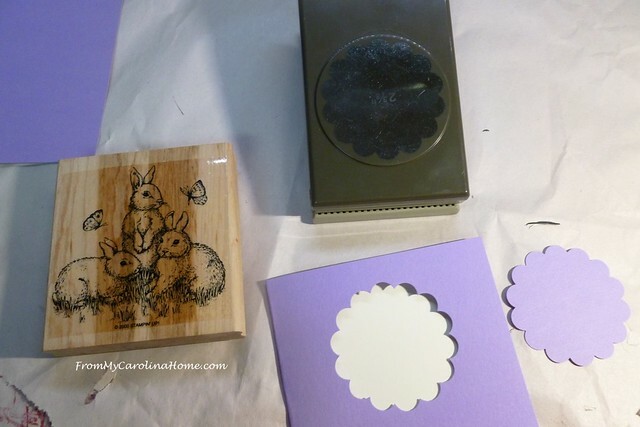 It is time to make a few cards for Easter and springtime, so I pulled out some of my stamping supplies. I had watched a video on Bluprint about windows in cards and was inspired to do one. 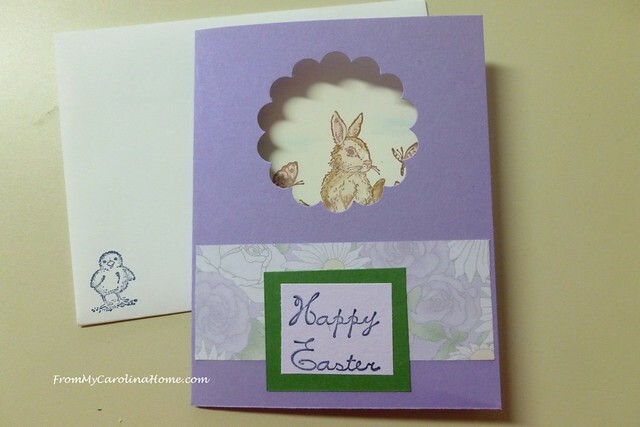 I chose a large stamp with rabbits on it for the window, and punched out a scallop shape on the front of the card. 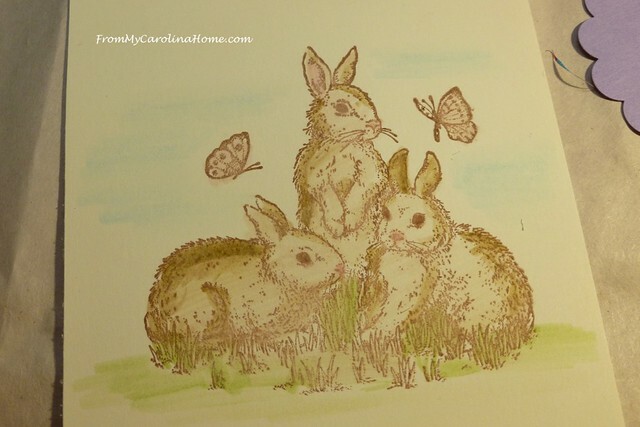 Stamping the rabbits on an off-white cardstock, I colored them with blender pens and inks, softly adding a bit of blue sky and green grass. 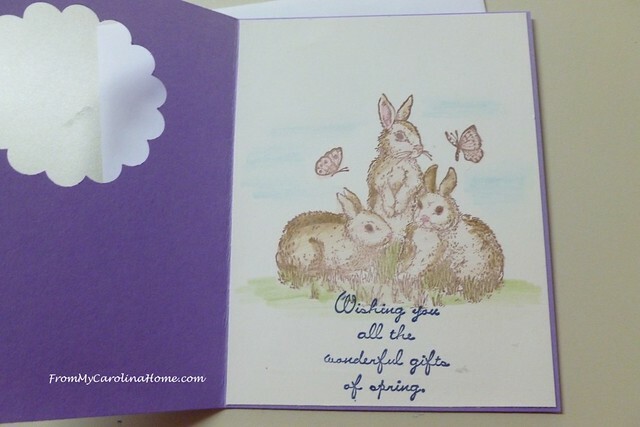 The inside stamp just fit under the rabbits, and the Happy Easter got a frame for the front. 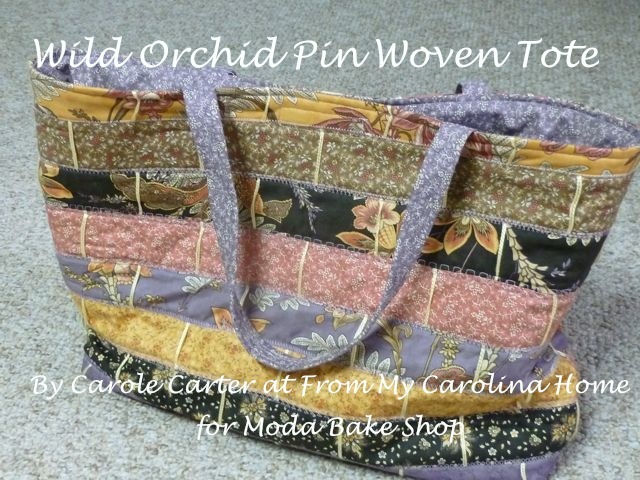 A soft daisy print made a base across the front. The window just shows the top rabbit. Then it opens up to a larger scene. The front needed just a little something, so I added a crystal to the upper right. 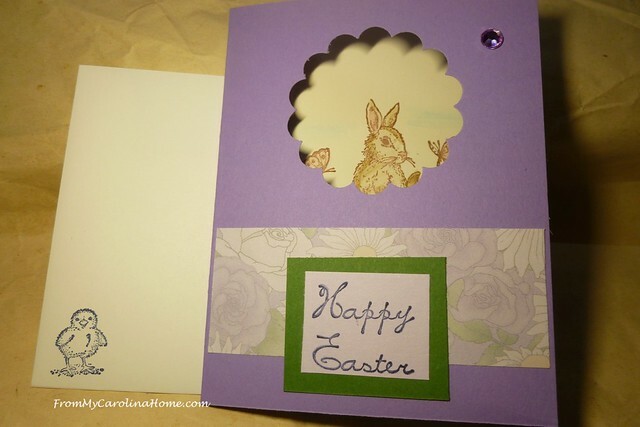 The next card was also begun with purple cardstock. The same daisy print was framed in green, then some twine was added. Stamping Happy Easter on the upper right, and then an iridescent butterfly sticker was chosen. I used the same sentiment inside. 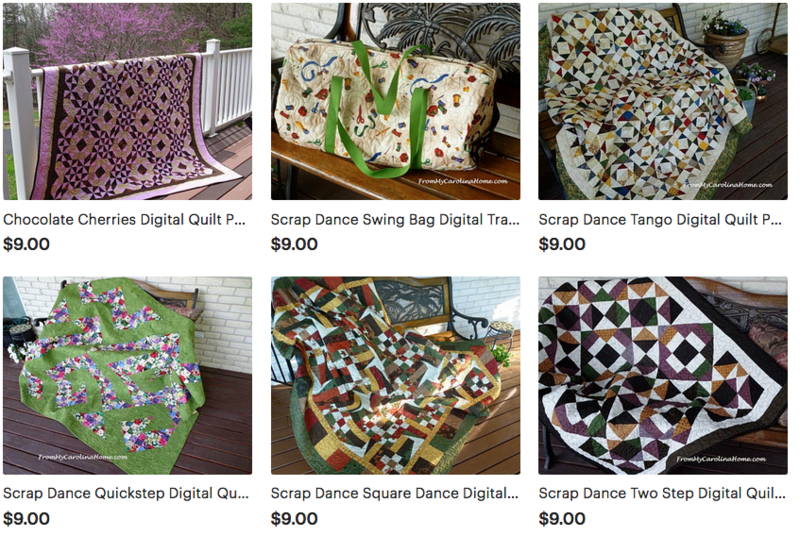 I mailed these off, and will make a few more with the same designs to get in the mail this week. 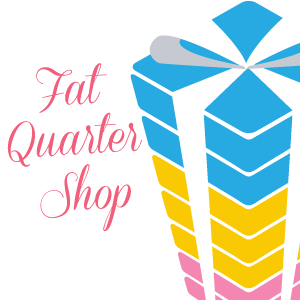 Are you doing any papercrafts? 50% Off First 3 Months Bluprint Subscription! 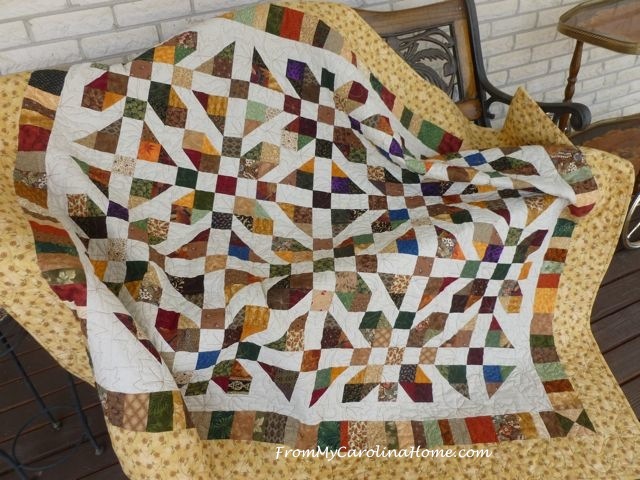 Stream unlimited creative classes like cardmaking, get access to tech-edited patterns, and get discounts on must-have supplies. 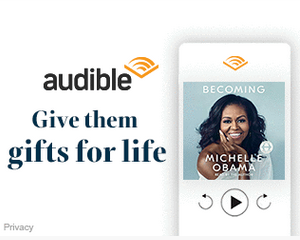 But hurry – this offer ends today! These are very cute for Easter. I do like that peek a boo window card. They are extra special. 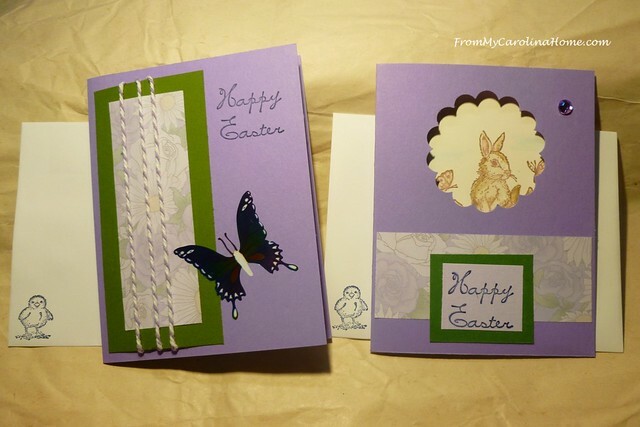 Good morning Carole…..Your Easter cards are lovely, especially the one with the cutout window, and the piece you cut out would make a pretty gift tag for someone’s present. 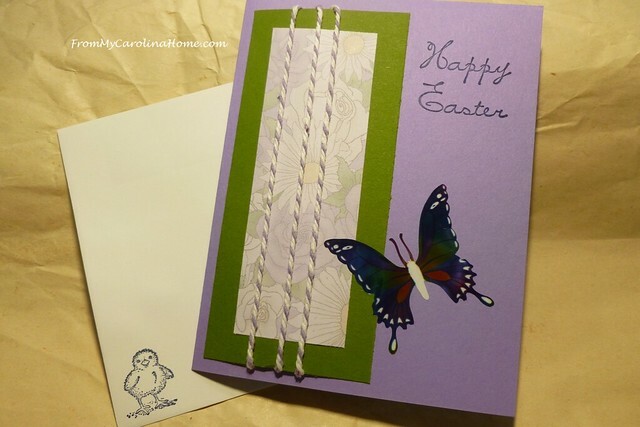 I love receiving hand made cards, and fortunately have a couple of friends and family members who love making them. Hope your weather is better than ours. Mother Nature gifted us with a couple of beautiful sunny days, with temps in the 70’s, but Old Man Winter is letting us know he’s still around, making his presence known. 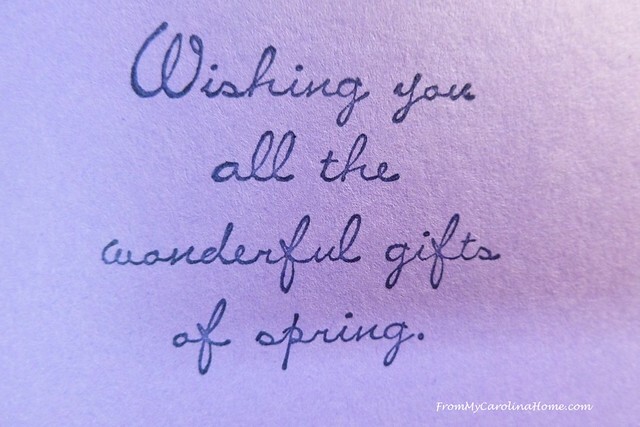 Hello Carole, These cards are marvelous! You did a great job in creating them so cutely, but with a beauty that makes them perfect for an adult. I think adding the color to the bunnies was an excellent idea! 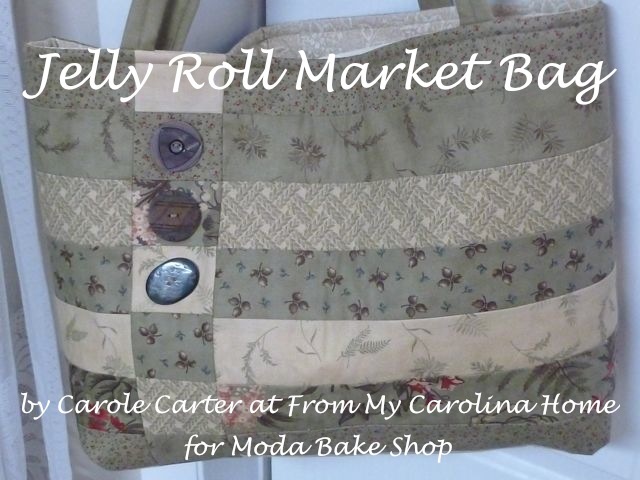 Thank you so much for sharing these with us, Carole. They just made my day so much brighter!!!! Have a marvelous day creating!! I enjoyed seeing your cards. 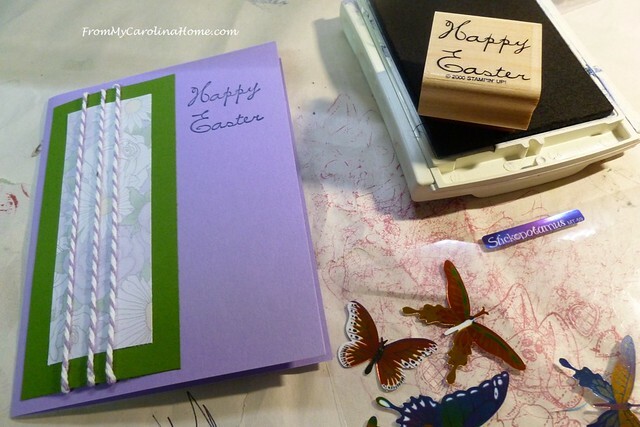 I love to work with paper and ink, and paint and stamps.I’ll remember them for inspiration. Thanks. Happy Easter. Your card is looking great. The person receiving it will cherish it. Soo so pretty and fresh! Those look really nice. You were quite artistic with these. I haven’t made any in a long time, but I keep thinking about it. 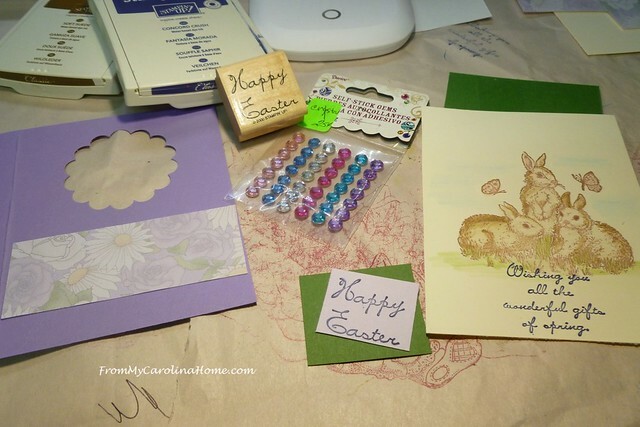 Carole, your little bunny card is so sweet! 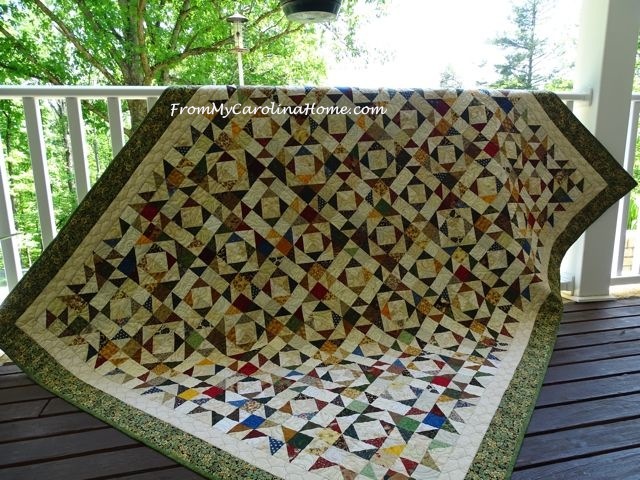 Thanks for sharing at Vintage Charm. Pinned! I enjoyed your cards. I started making them for grands (now up to 8–mine, his, almost step grands, etc. ), family, church invalids, elderly friends; now I need to make 20! 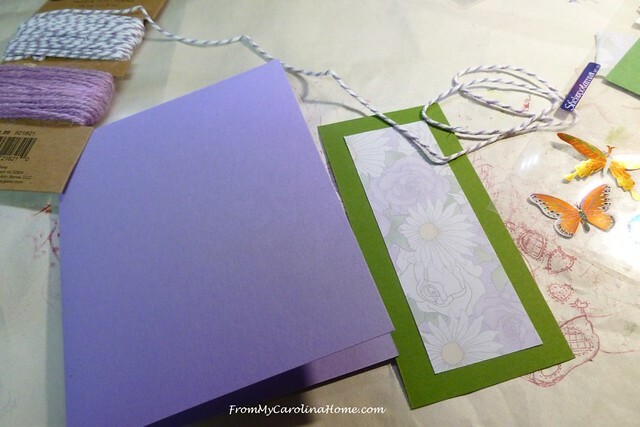 I liked “mixed media”–rubber stamping, scrapbook paper, pictures from magazines, stickers, ribbons, lace, etc. I have collected SOOO much over time. Have been making cards with my Sunday school class-3 girls–and they enjoy it a lot, too.